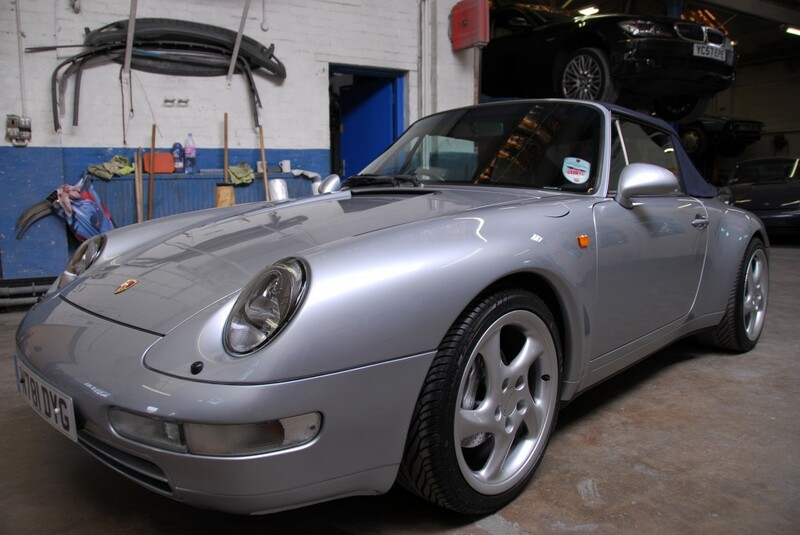 The Porsche 993 shaped 911 is currently one of the most desirable and quickly appreciating Porsche’s available. With its subtle, classic yet modern headlights, air cooled engine and classic clock dash, many Porsche enthusiasts refer to it as the last ‘real’ Porsche 911, as this was superseded by the first of the air-cooled Porsche 911′s, the 996. This makes it all the more essential that when work need doing, or if a car such as this is involved in an accident, it goes to the right body repair specialists. Whilst we do not specialise in Porsche per se, we have years of experience with these special cars, as well as Ferrari’s, Aston Martins and more. 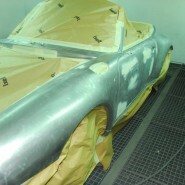 This means that we know how to get it right, with brand new Porsche parts, as well as specialist Porsche paint in our high-tech spray booth, you can be sure if your car needs specialist attention or crash repair, E and A coachworks in Wembley, London, is the body repair shop for you.